Armani is opening new stores in top-flight airports from Amsterdam to Miami as it eyes expansion in the travel retail market, the Italian fashion house said today. Max Rossi. Armani, whose luxury empire is worth around $2.4 billion a year in sales, has diversified into interior design, jewellery, and perfumes. 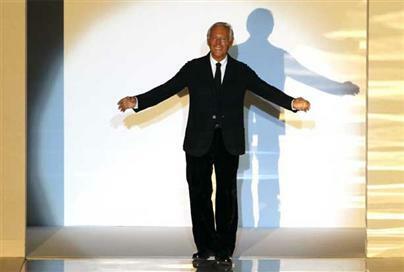 The doyen of Italian fashion, known for his classically elegant lines and muted colours in clothes, has more than 500 stores in 46 countries, including more than 35 points of sale in the travel retail network. After opening three airport stores since March, Armani plans to launch three new Emporio Armani stores and five Armani Jeans shop-in-shops by July 2010, it said in a statement. It did not disclose the amount of the investment. Locations include top airports in Italy, Amsterdam, Prague, Macao, Nice and Miami. “The Armani Group’s programme of travel retail openings is not only well established, but also sets a significant presence in the world’s most important airports, with the support of strong partnerships with leading retailers,” the statement said. Armani, whose luxury empire is worth around $2.4 billion a year in sales, has diversified into interior design, jewellery, and perfumes. He has several brands including Armani Junior, Armani Jeans and Emporio Armani, for which soccer player David Beckham and his Spice Girl wife Victoria have modelled underwear. The 75-year-old designer opened his first hotel at the world’s tallest tower in Dubai last month and plans a new hotel in Milan in 2011, as he keeps investors guessing on the future of his company.